The October 15th Super Full Moon in Aries carries a fiery energy that will give us all a much needed push forward. 2016 has been about clearing out the old so the new can emerge. It is almost like a death and rebirth cycle where we have been digging up the past and healing old wounds in order to welcome in the new. This theme will continue to run for the rest of the year, but since the September Black Moon the energy has definitely started to shift from the death phase into the rebirth phase. Over the last few months internal or subconscious wounds, thoughts and feelings have bubbled to the surface and now moving forward, we are going to be guided to act on them in order to complete the cycle. Whatever has been stirred for you throughout the retrograde cycles and the previous Eclipse cycles will now be demanding you to take necessary action. For the month ahead, it is going to be about taking action and actually putting your foot down on what you are willing to stand for and what has to come to an end. The months prior to all of this have been helping you to get clear about your feelings and now, this October Full Moon is going to give you the confidence to act on them. If there is some action you need to take in your life, if there is something that has been nagging at you for quite some time, this October Full Moon may just give you that last needed push to actually do something about it. Aries energy is fiery and independent. Being the first sign of the zodiac, Aries is also a leader and warrior. In fact, a lot of warrior energy surrounds this Full Moon so if there is something in your life that you need to stand up for, or someone you need to stand up to, you may find that this Full Moon supports you to do so. While Aries is all about being a leader, its ego can also be easily wounded if its not aware. Due to the supercharged energy of this Full Moon, it is going to be important to keep your ego in check and try not to take things personally. Every person and every event that comes into our lives is here to teach us something, and if we can keep this in mind, we may actually learn something about ourselves and about the bigger picture journey of our lives. The October Full Moon also has a wildcard energy, and may bring things to the surface that perhaps you were not expecting. Full Moon’s represent completion and endings, so if something came up for you over the Black Moon, you may finally reach a resolution around the time of this Full Moon. Super Moon’s occur when the Moon is close to the Earth. This helps to amplify the energy of the Full Moon and allows us to feel it on a much stronger and deeper level. This Full Moon will be guiding us to stand up for ourselves and to stand up for what we truly believe in. It will also be helping us to express ourselves and what we want for our lives moving forward. Whatever you have been holding in, whatever emotions have been bubbling on the inside may come spilling out with this Full Moon energy, so be prepared to do some cleansing. Releasing emotions is sometimes the most therapeutic thing we can do for ourselves, so perhaps use this Full Moon energy to journal or express yourself through creative projects. 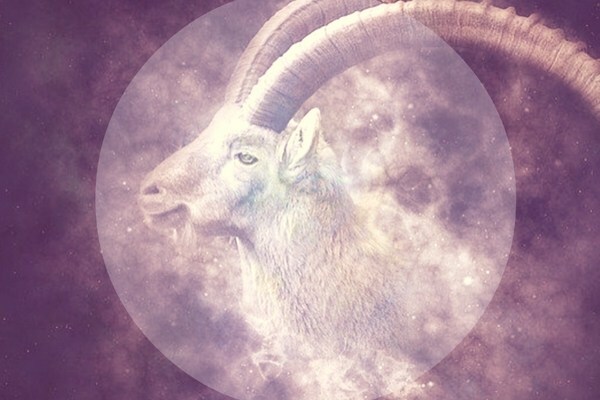 The October Aries Full Moon has a lot of strong, passionate and fiery energy, which is going to help us all really take that leap forward in our lives. Use this energy to step into your warrior gear and really stand up for your life and the direction you want it to head in.